In Full . . .
Villagers are being urged to give their support to Alvechurch Library, as the county council reviews the venue’s future. The library, which serves residents across The Village area, is under threat along with many other services as the county faces a growing lack of cash after years of “austerity”. The county says all its libraries outside large towns are going to “change” and it has launched a public consultation to help to decide the fate of each library in Worcestershire. County councillor Peter McDonald told Lickey and Blackwell parish councillors: “They have to hold a consultation by law, but if you think they will take a ha’p’orth of notice of a consultation then you must have been born this morning. He said Alvechurch Library had been classed as a “fourth tier” library in the consultation, which meant the county was planning to make it a “community managed” library. The features of these, according to the consultation, include the “community” paying for building costs and management and volunteers to run them. 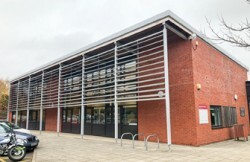 Coun Hotham said Alvechurch library was “unique” because it was part of the private finance initiative (PFI) that paid for the new schools on the same site ten years ago. Coun Hotham said 300 people a week used the library for various groups and meetings as well as the traditional library users. The parish council has formed a working group to look at the best way forward for the library and to encourage people to take part in the consultation, which runs until the end of January. villageonline.co.uk is published by Platform Publishing & Media Ltd, of The Limes, B48 7RR UK +44 121 445 6757.